My older boy asked me to make something for him for his teachers. 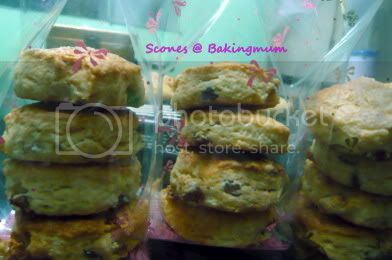 Since I want to make something easy for him to bring to school, I baked a batch of cream scones for him to bring. The plain ones without mixed fruits are for the boys breakfast tomorrow. The younger one especially likes his scones plain. 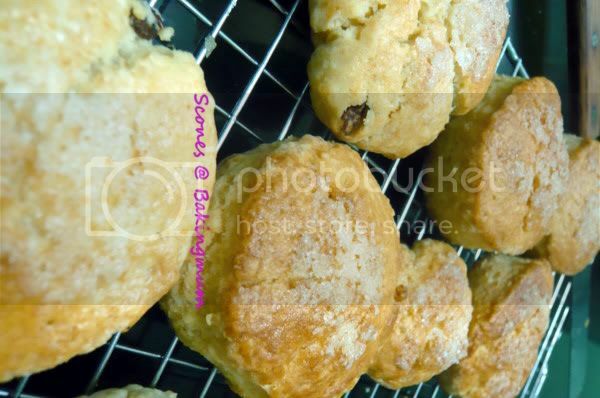 Your cream scones looks exceptionally SCRUMMY! Do share your recipe and tips, plzzz! Btw, I baked walnut moonies, using your recipe, with extra portion of walnut, it is super duper DELICIOUS! burp, burp! can share the scones recipe? You kids are lucky to have you as their mom. His teacher is lucky to have him as a student in class who's mom make such yummie things got her. what's cream scones? did you spread a layer of fresh cream in the middle? i used to eat a lot of plain scones with fresh cream and jam in my younger days. oh boy, did i put on weight. haven't eaten scones in decades. Hi pt, it is actually scones but I used thicken cream in it. I like to spread butter and jam on my scones but not fresh cream. 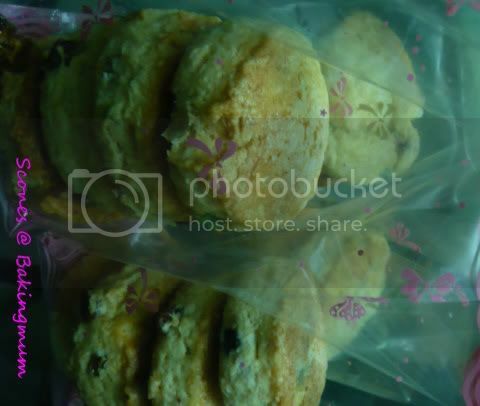 Hi Lee Lee, ur scones look so scrumptious. Ur son's teachers must have really enjoyed them. Chezzyheart, I have shared the recipe before. You can find it under 'Baking'.